The toughest challenge that marketing agencies face in 2018 is undoubtedly employee retention. Unfortunately, many agencies often hire employees who work for a few months and then discover they are not suited to the organization, work environment or culture. In order to succeed as an agency, marketing companies must invest in employees who will be dedicated to their positions for the long term. This way, the employees can establish dynamic relationships with the individuals and assess their needs on an ongoing basis. This issue of employee retention translates to all industries and is a worry for business owners everywhere. One study by Future Workplace and Kronos found that 87% of employers said improving employee retention is critical to the future of their organization. This high percentage comes at a time when the economy is improving and employees have more options for work. Thus, business owners must develop a strategy to combat turnover by improving their employee experience. So what can your agency do to increase employee retention? Here are 3 steps your agency can follow to improve the overall happiness and experience of your employees in a way that keeps them invested in their roles and the individuals served. The first step is to hire the right employees. You may ask: But how will I know who is right for our agency? By creating an ideal employee profile, you will be able to create a list of all of the characteristics your future employees must have. Don’t waste time hiring employees who don’t embody each of these qualities; there’s no point in spending time training people who aren’t motivated, dedicated and enthusiastic about the job. The most successful agencies will heavily weigh these personality traits when hiring for future success. During the interview process, try to keep these traits in mind and ask questions that will illuminate the candidate’s characteristics. Another way to seek out this information in a more thorough way than by interview is to require a TTI test—which The Impact Group can help you administer! Once you’ve hired an employee who fits your ideal profile, the next step is to have a training program in place that is based on encouragement. Since agencies are often confronted with changes to the services they offer as a result of innovations in technology, employees should be well-trained to handle these changes with grace and understanding. When you train your new employee, you should treat training as an opportunity to create a foundation for them to be successful in their role. Besides training new hires, it is equally as important to train supervisors. Why? Because an agency’s supervisors will ultimately set the tone for the happiness, motivation and dedication of the other employees. The Impact Group has worked with many agencies in the past, offering Supervisor Bootcamp to teach managers the right ways to treat employees. By training all people in the agency to focus on appreciating one another and being grateful for clients who they serve, the overall atmosphere of the company will improve—leading to increased employee retention. Finally, the last step (which will occur naturally) is to retain your new and existing employees by instilling a culture of appreciation at your agency. By executing the first two steps successfully, you will inherently retain more employees. 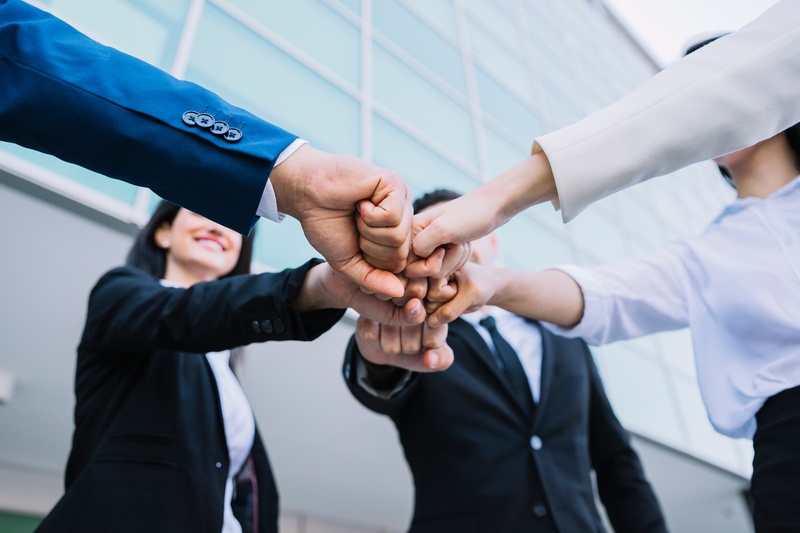 Having both supervisors who see the value in recognition and employees who embody positive traits, your agency will become a dynamic, rewarding place to work. Better compensation – A poll by 60 Minutes showed that the best way to keep an employee around for the long term is money—with 35% of respondents confirming money to be the most important factor in seeking a new job. Promote career mobility – Offering opportunities for professional development and growth within an agency is a great way to advance productivity and teamwork. This challenges employees to remain engaged in their roles and look for ways to develop heir skills. Flexibility – Flexibility is absolutely crucial for employees, especially nowadays when people are expected to respond to phone calls and e-mails after hours without compensation. A global study by Ernst & Young reports that 74% of workers want the opportunity to work flexibly. This allows employees to better manage their relationships, personal time, and ultimately their work-load. Making specific arrangements based on an employee’s desires—which could encompass telecommuting, flexible hours, and flextime—is essential to a happy staff. The Impact Group is here to help your agency grow and combat the issue of employee retention. We can provide your staff members with Supervisor Bootcamp training or Appreciology workshops to inspire an environment of gratitude and recognition. Call us today to schedule your session!